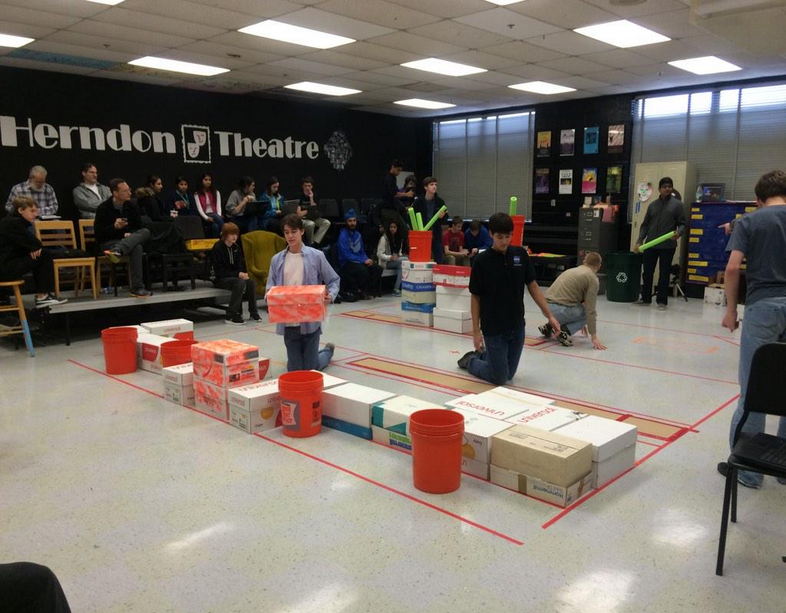 Build Season is Under way! The 2015 game was released this past Saturday and Epsilon Delta is well under way in the planning process. We started the weekend off with our annual Kickoff breakfast where we enjoyed some waffles, games, and the new challenge this year, Recycle Rush! 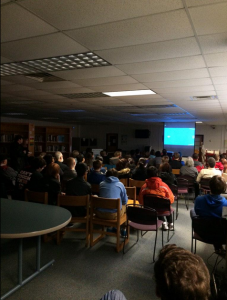 Students eagerly waiting for “the big reveal”. 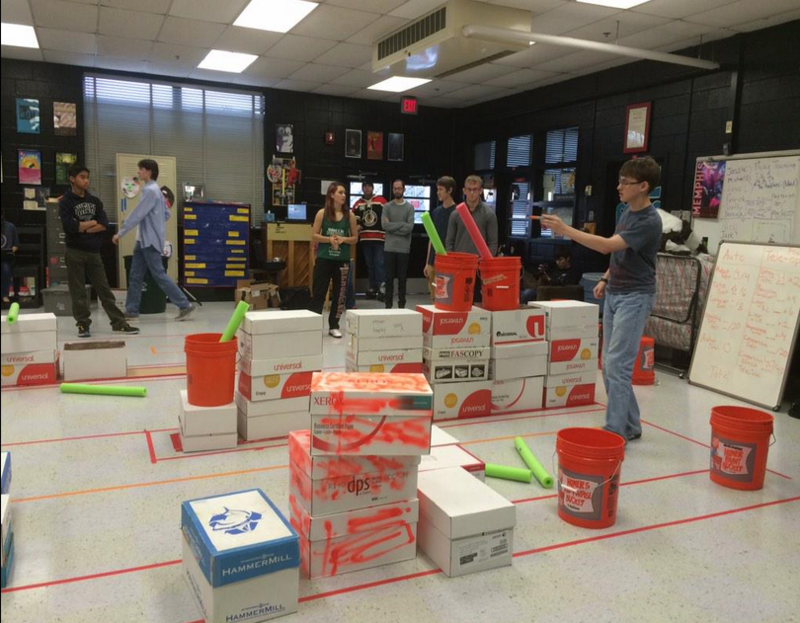 The next day we created our mini field and began our “Stubots” strategy planning meeting. 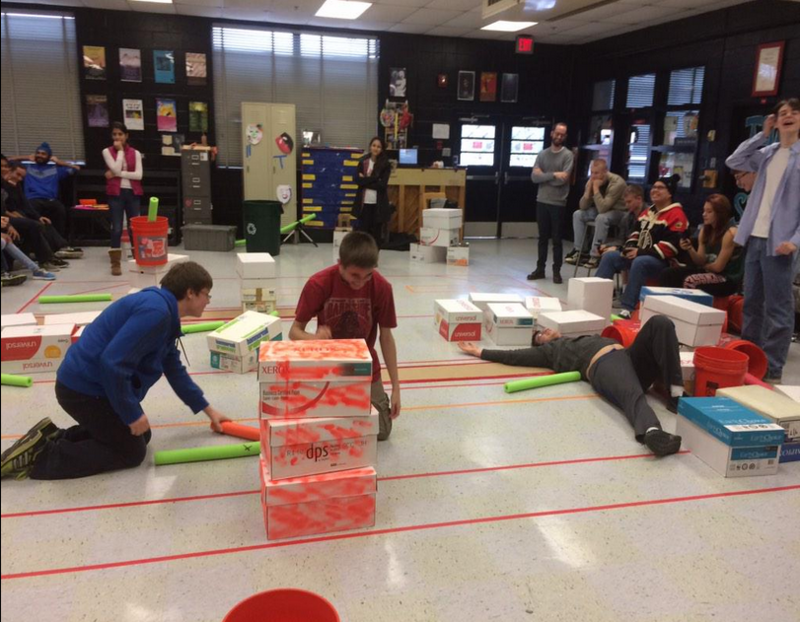 During this time students act as the robots in our make-shift field to help us not only better understand the rules of the game, but figure out what does or doesn’t work in it We had lots of fun and began to break down what exactly we want our robot to be able to do. 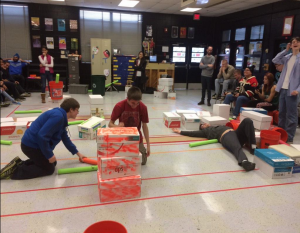 We’re excited to see what this season will bring, and we want to give a big thank you to Team 5338 – Robo Loco for joining us and giving their input on the game as well!